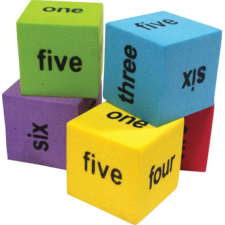 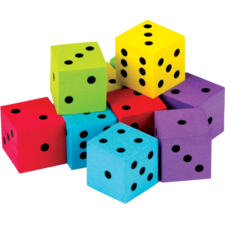 Learn about place value, math operations, and probability. 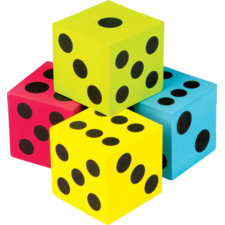 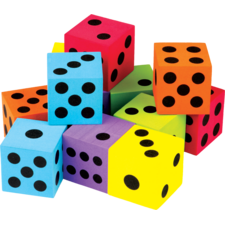 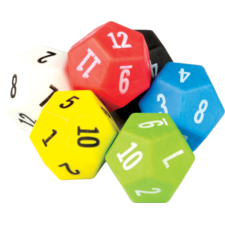 Soft plastic dice are quiet and durable. 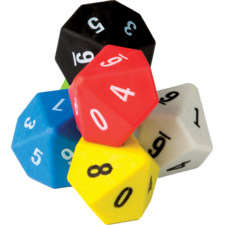 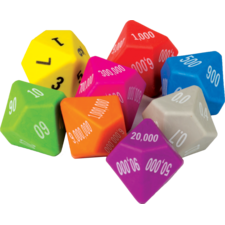 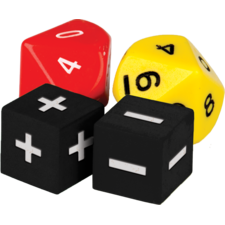 Two 12-sided numbered dice and 1 Multiplication Die. 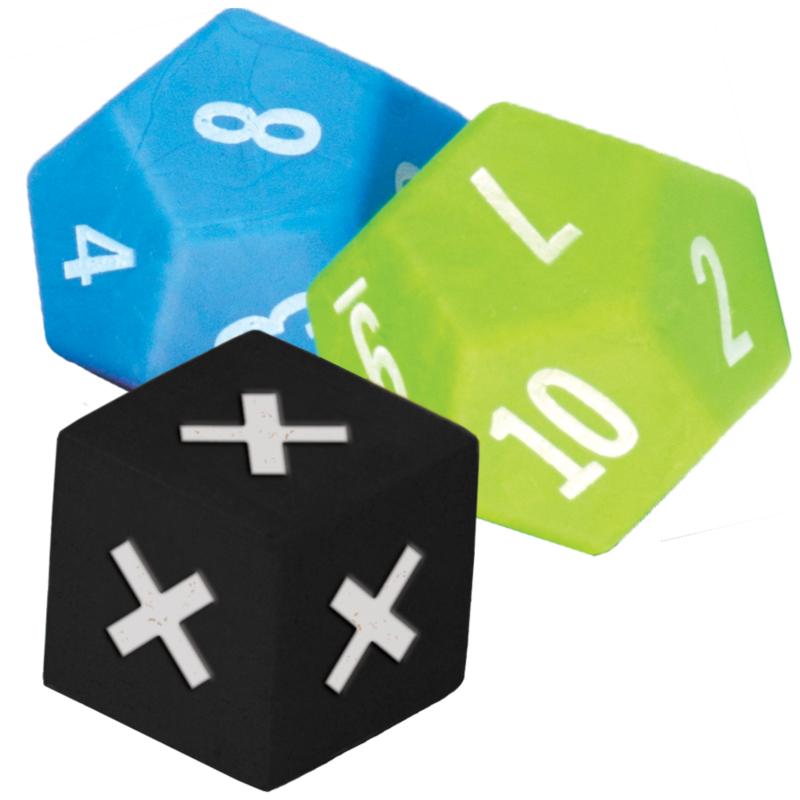 1" x 1 1/2" plus 3/4" dice.